Bristol singer-songwriter started making some serious waves last year, culminating in a BBC Sound of 2014 appearance at the start of 2014. Not that many people got the memo when I caught him at Southsea Fest 2013. Safe to say, the dozen or so interested parties were suitably impressed however, and new track 'Coat Of Armour' captures Ezra's soulful vocals and warm-spirited music. The track appears on the forthcoming 'Cassy O'' EP, and while the title track didn't quite do it for us, 'Coat Of Armour' demonstrates just why we mentioned Ezra as a addendum to our tips for 2014. One of those songs to enjoy in front of the fireplace. Or radiator. But that's a bit less romantic. 'Cassy O'' is out on 16th March. 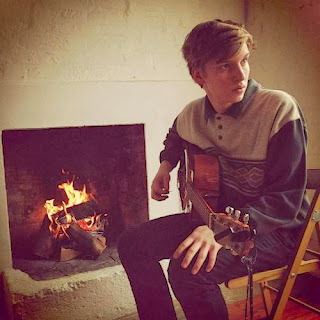 Find more info at georgeezra.com.